The population grew by nearly 1,000 to 2,386 people. Between 1980 and 1990, the pace of development dropped a little due to recession but the population still grew by about 700 people to 3,093. Fueled by a strong regional and national economy, the population grew by nearly 9,000 to 11,791 in 2000 for a 380% population increase. A 154% population increase over ten years added approximately 6,000 people to Sherwood, bringing the total to 18,194 by the end of the decade. The population has increased to 19434. Population growth was slowed by the great reccesion. The last time we made this much developable land available in favorable economic conditions, we tripled the size of the city in 10 years (1990-2000). Metro does not dictate which cities get a UGB expansion. Instead, Metro requires cities to evaluate their own future housing and buildable land needs and then make a request to Metro if they determine that buildable land is needed to absorb projected growth. Sherwood completed a housing need study and determined that there was a deficit of 497 household units in the 20-year supply. It is important to note, that the only step in the process where city can be assured of control, is step one. Also, once step 1-3 are complete, the developer can control the timing. To that point Metro's UGB FAQ States that "Cities asking for an urban growth boundary have to show that they can get dirt turned quickly" Once the UGB is expanded we loose positive control over the rate of growth. Who are the Property Owners? Large developers like Metropolitan Land Group have been buying up most of the land in the Urban Reserves and are now pushing to have that land brought into the Urban Growth Boundary. Hundreds of millions of dollars are on the line for these companies. These organizations have deep pockets and are already actively lobbying our local elected officials, as well as Metro, on this issue. Given those dynamics, it is not unreasonable that this expanded area would effectively be fully developed in 10 years. This is why this decision is so important for Sherwood. Once we expand the UGB, the hurdles that large corporate developers have to overcome to start development, are significantly reduced. Growth is inevitable. We have to make sure that we have control over the pace of growth and that the growth is compatible with the desires of our community. As your representative on the council, I have serious concerns about the proposed expansion. I need your input on this before I am asked to vote on whether we formalize our request for an extension of the Urban Growth Boundary this spring. To help all of us understand what this could mean for Sherwood, I did some basic analysis of the impacts of a fully developed West Side Expansion using publicly available data. 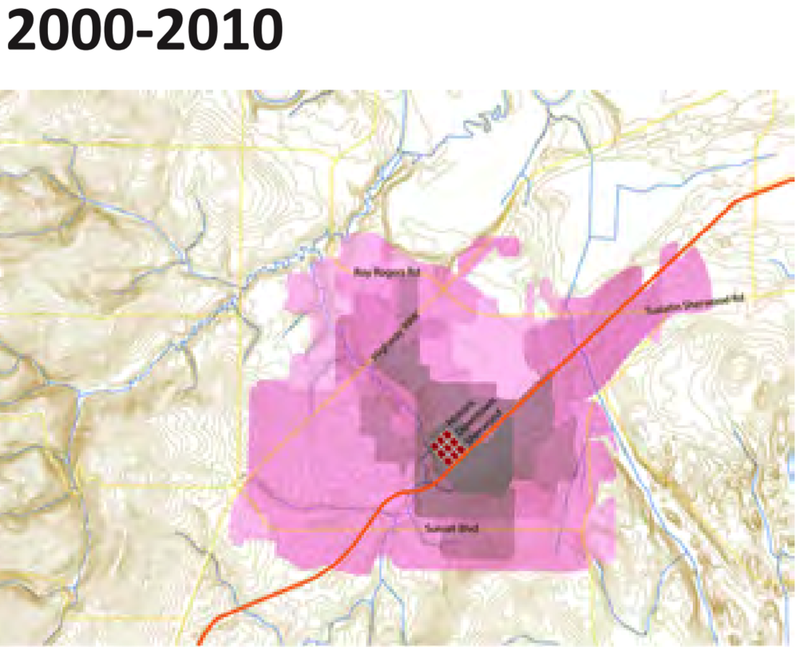 I used a range of Housing Units (HU) per acre to estimate rough impact on population growth. 8.5 to 11.3 HU's per acre. I assumed 2.89 people per household and 0.78 students per household. These demographics are consistent with Sherwood's current ratios. As more planning is done the estimates on population and school system impacts will continue to be refined. For example; there is some data that shows that the number of students in high density housing vs low density is lower, this could drive the student per households down to as low as 0.50 due to the higher ration of high density options being proposed. Why a range of Housing Units (HU) per acre for this analysis? Two reasons; first we have not completed the planning. Our letter of interest stated 11-12 units per acre. Since that time that estimate has been refined down to 8.5 with more work to be done. It should be noted, that a formal application at an average density of 8.5 is less likely to be approved by Metro, than an application at 11.3 HU's. There will be pressure from Metro for higher densities. So, given those assumptions, what could that mean for Sherwood over the next 10 Years? 3,017 to 4,036 additional students in our schools. Higher density housing, as required by Metro, will create more home buying options at lower price points. Do we want to see our population increase 57% to 76%. Do we need to more high-density housing in Sherwood? Do we need more housing options to make housing more attainable in Sherwood? Do we believe that this expansion will create affordable housing options? If we expand the UGB, do we believe we can still effectively manage growth given the pressures that large developers will put on the city directly, and via Metro, to move fast? Have we done enough community outreach and visioning to make sure we understand what kind of growth is compatible with our values. Have we partnered with the school district to really understand the impact this will have on our schools. Do we need to do a more formal study before a UGB ask? Do we need to complete the comprehensive plan update prior to making a request to expand the UGB? The letter of interest to Metro estimates, that fully developed, this expansion would add 3,868 to 5,155 housing units to Sherwood. There are currently 6,791 housing units in Sherwood today. At a current average of 2.89 individuals per housing unit, this expansion, over the next ten years, could add 11,177 to 14,898 people to our current population of 19,487. That is a 57% to 76% addition, increasing our total population to 30,950 to 34,766. The Proposed Sherwood West expansion could have a population density of 11,464 to 15,280 people/square mile (proposal is .975 square miles). Currently, Sherwood has a density of 4,318 people/square mile. 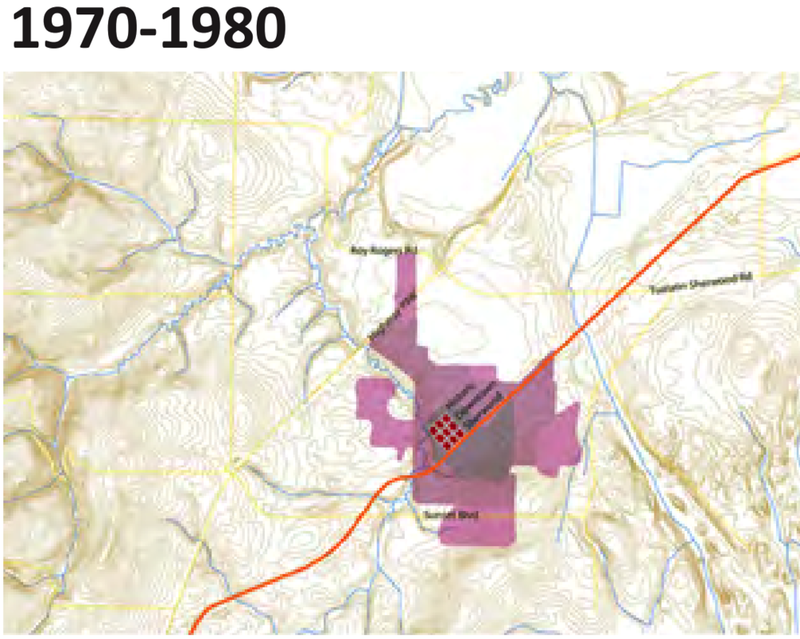 The overall density for Sherwood would increase up to 6,290 people/square mile. That would take our density above King City and increase our lead over Tualatin, and Tigard. As an example, Woodhaven is zoned for about 5 housing units per acre. This expansion would average 8.5 to 12 housing units per acre. The $247M School Bond was based on a ten-year student population growth study that did not include the Sherwood West Expansion. The bond was designed to increase the school districts capacity by 2,000 students to 7,385. Adding 5,155 housing units could increase Sherwood school’s population by 3,017 to 4,036 students. That could mean 1,000 to 1,345 additional students in the new high school alone. In 2025, without Sherwood West, Sherwood School District was projecting 6,535 students. This expansion could lift that number to well over 10,000 by 2028; well over the capacity once the new High School is built. It should be noted that the schools projection includes the Brookman Annexation. A recent decision by Metro converted a future residential area in Tualatin to Industrial. This area is part of the Sherwood School District. This will reduce the housing unit forecast that the school used to plan population growth by about 648. This will create some relief on school population growth, however it will not come close to offsetting the load that the proposed Sherwood West will put on our Schools. For every $1.00 of property tax revenue the city receives for residential property, it costs $1.25 to provide services. Adding 5,150 Housing units would generate $4M in additional tax revenue for the General Fund. However, it would cost $5M to provide services to those residents, creating $1M hole in the budget each year. A detailed study of the Tax Base impacts for the expansion has not been completed, and should be completed prior to expanding the UGB. There would be a small positive impact on property taxes. Fixed amount bonds, like the $247M school bond would be spread out across additional tax-payers, effectively lowering taxes by a only a small amount. This would phase in slowly and be offset by property tax increases, due to assessed value, over time and the need for another school bond to fund more schools. Expanding the UGB will create Higher Density Housing options as mandated by Metro. Higher density housing will create lower cost options for homebuyers, mainly driven by the lower square footage, small lot sizes, zero lot lines (townhomes/condos), and apartments. Currently only 18% of our residential land is zoned for High Density Housing options like apartments, family homes and townhomes. The Remaining 82% is zoned for Low Density Single Family Homes. This zoning imbalance makes it very difficult for people to find housing options that are affordable. Given the popularity of Sherwood, the prices for these High Density options would still be higher than surrounding areas for similar housing units. This is why it is more appropriately called "attainable housing," not "affordable housing". Politically, it might not be the right time to ask Metro for an expansion of the UGB. Multiple cities around us are positioning for big asks of Metro during this cycle (Wilsonville, King City and Hillsboro). Sherwood is in the process of updating its Comprehensive Plan. We are not scheduled to have that done until next year. Asking Metro for an expansion, when we have not completed the Comprehensive Plan decreases our odds of getting this approved. An incomplete Comprehensive Plan is a signal to Metro that we have not truly engaged the community in what they want when it comes to this project. Sherwood has typically had a focus on Low Density Housing. Metro is focused on High Density Housing. This works against us when Metro starts picking winners and losers and comparing the proposals from the different cities.